Looking to give your arts career a boost? 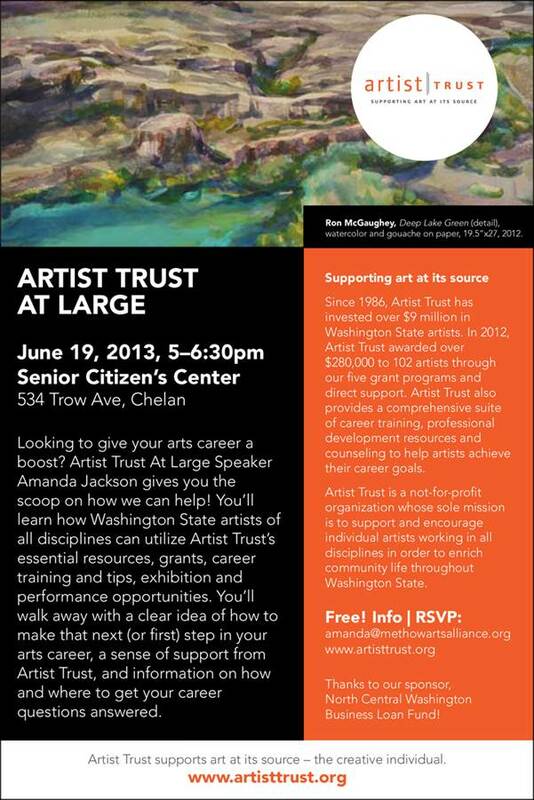 Artist Trust At Large Speaker Amanda Jackson gives you the scoop on how we can help! You’ll learn how Washington State artists of all disciplines can utilize Artist Trust’s essential resources, grants, career training and tips, exhibition and performance opportunities. You’ll walk away with a clear idea of how to make that next (or first) step in your arts career, a sense of support from Artist Trust, and information on how and where to get your career questions answered. Interested discipline: All Disciplines, Artists with Disabilities, Arts-Related, Craft, Dance, Design, Emerging Fields & Cross-Disciplinary, Film/Media Arts, Folk/Traditional Arts, Literary Arts, Multidisciplinary Arts, Music, Performing Arts, Photography, Public Art, Theater, Visual Arts, Non-Profit Orgs.